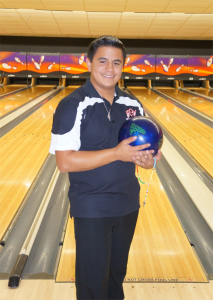 Daniel Justin Casas picked up his first bowling ball at the age of 7. More than a decade later, DJ, a senior at Clear Brook High School, has been selected by the Texas United States Bowling Congress as a Texas Hall of Honor inductee for 2015. Texas USBC honors up to two senior boys and two senior girls based on scholastic average, participation in other activities, bowling achievements-league, and participation in tournaments. They also consider offices held in leagues or associations, honors or awards in bowling or other organizations, high individual game and series, as well as the number of years in the youth bowling program. DJ Casas bowled a high game of 299 and his high average is 206. DJ won first place in the Texas State and Houston Youth Leaders Ghostly Tournament, and Greater Houston USBC Youth Championships in Singles. As captain of the Clear Brook High Bowling Team, the 18-year old advanced to the state finals in Texas High School Bowling. DJ is a certified Level 1 Coach for bowling and helps coach the Special Olympics team the Bay Area Heat. 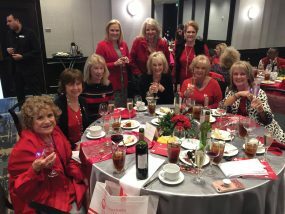 Casas is currently president of the Texas Youth Leaders, and a member of the Greater Houston Youth Leaders, Houston Travel League, Houston Invitational Scratch, and the AMF Alpha Scholarship League. This well rounded student is also proud to be the cadet major in JROTC. DJ Casas will receive a scholarship for receiving the Texas Hall of Honor award. He is the third Clear Brook Bowler to be recognized as a Texas Hall of Honor. The first bowler was Charles Smoot III in 2009 and Ashley Lawley in 2011.